I sit and write this at the most despised moment in the Western World. Luckily, by the time Monday morning arrives here, we already have 24 hours of the working week under our belt and that Monday feeling already happened on Sunday. There's good and bad in that. The kids go to school six days a week, which they hate, but finish around lunchtime each day, which they love. They've also suddenly realised that the upcoming summer holidays are some three weeks longer than they would have had back in the UK, but that's just by the by. Monday to Friday. The so called normal working week. Or, as those in EMS (and other emergency services too, I guess) call it, Monday to Friday. There's no such thing in the twenty-four/seven world of EMS as the normal working week. Our Friday feeling can arrive any day of the week and any time of the day. Nights turn into days, days into nights, weekends into weekdays and vice versa. There's no real pattern that means anything to an outsider, when the weekend can just as easily begin on a Tuesday. "So how many days a week do you work?" is a common question from many who are looking from the outside, in. To answer it, first you need to define the terms 'days' and 'weeks'. The past few (normal) weeks as an unemployed paramedic have been a little frustrating. Bureaucracy has a wonderful knack of driving the sane to distraction and I was only semi-sane to start with. We're getting there, slowly but surely. Everywhere I've been and everyone I've spoken to has told me that they're desperate for paramedics, but it just takes time to get through the red tape. 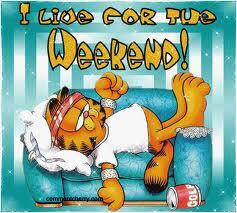 I have, however, found a new love for the concept of the real weekend, shortened as it may be. Saturday afternoons now involve leaving the kids to their own devices and sitting down with a good book, or if I'm really lucky, like last weekend, even a nap. Apparently, however, even an unemployed paramedic is still on call, especially when they're asleep. A crash of the front door is swiftly followed by a bash on the bedroom door. "Somebody's collapsed in the park!" yells a child's voice. "Come quick!" Thirty seconds later, somewhat more bedraggled than I would normally be when responding to an emergency, I meet my first real patient for a couple of months. He's young, eighteen at most, looks pale but indicates that he's pain free. The fact that it's 30 degrees Celsius means that it's a little difficult to ascertain whether the sweat is heat related or otherwise, but a sixth sense and a weak pulse make me opt for medical rather than atmospheric. As if I'd never been away, I start asking my questions, going through the mental list that has formed my initial patient assessment for years, but this time, in Hebrew. "I'm sorry," says the patient, looking a little confused and embarrassed, "but do you speak English?" As it turns out, had he have been at home, rather than on an extended stay with relatives, he could still quite easily have been my patient, living within spitting distance of my London ambulance station. Instead, I get to treat him in Israel. Treat may be pushing the boat out a little, as I had no equipment with me, but at least start to get some sort of history. In the meantime, someone had called for an ambulance. The first responder arrived three, maybe four minutes later, immediately followed by another, both on bikes. They're volunteers, much like the community responders in certain parts of London, who help back up the ambulance service which is spread too thin. So far, so familiar. They strolled over to where we were, hands in their pockets and with no equipment. My patient looked up and his first words were shocking. "Don't let them near me, they hate me." "The same thing happened last week and these two turned up then, too. They basically called me a liar and told me I was faking." He told me about the treatment that he'd received, but more importantly, the attitude with which it was delivered. I didn't think he was faking, but I did hear one of the responders mutter something to the effect of Oh, him again. I sent one of them back to the bike to get me some kit, so I could check the basics at the very least and then try to make an informed decision as to a plan of action. The ambulance arrived shortly after I had checked the blood pressure and following a handover to the crew, I left them to continue the treatment. I walked away reeling from the patient's comment. They hate me, he said. They told me I was faking. Maybe he was, maybe he wasn't. I wasn't there the previous time, but I certainly didn't think he was lying on this occasion. These two responders fell into the most dangerous trap there is for an EMS provider. We're all guilty of it. When you meet your regular leg-pain caller for the umpteenth time that month in the same phone box, it's difficult to act with the sympathy and open mind that you would otherwise have for somebody else. To fall into this trap, however, based on very minimal previous experience or exposure and all before you've actually seen the patient, is not only dangerous, but, to be honest, stupid and unprofessional. If you're a student reading this, or a fairly new EMS provider, you'll swear blind that you'll never do it. You'll never fall for it like the old hands do. I warn you now - you will. It's what defines you as an old hand. The trick to learn along the way, however, is when, how and at what speed can you recognise that you're doing it, that sometimes you're wrong, and what you need to do to put it right. The other trick, is to not become an old hand before you've earned that right. There's a fine line between confidence and over-confidence. Crossing that line can take you, very quickly, into territory that will not only grate on the nerves of anyone you work with, but also into a danger-zone for you and, most importantly, your patients. You need to constantly assess and reassess not only your patient, but your treatments and attitudes too. That way, you'll be safe in the knowledge that you'll be able to relax when you get to your weekend. Even if it is on a Tuesday. The silvery handlebar stuck out of the bottom of the hedge, colourful tassels hanging off the green grips either side. The front wheel was buckled and bent out of shape, rendering the bicycle useless. It looked otherwise new, well cared for. Stickers of princesses and cute animals adorned every inch of the front-mounted wicker basket. The only thing missing was the rider. Nearby, still within earshot, children played in the park, filling the air with the joyful sounds of child's play. Putting an end to yet another cup of coffee, the call came in of an accident; a neighbour had witnessed a bike hit the pavement and saw the rider fall and hit the ground hard. By the time we turned up, the rider was nowhere to be seen. After a minute or two, the caller came out of their house, unintentionally mocking us by holding a cup of steaming drink. Maybe tea, maybe coffee, it didn't really matter. "He really hit the floor. I heard the thump from my window!" "Yep, big chap too." He suddenly realised why we looked confused. "Oh. Weird. What the hell's a big bloke doing riding a pink bike?" "That's exactly what we want to know. Knowing where he is would probably help too." The police arrived, having been given the call as an accident. Chinese Whispers had led them to believe that there was a car and an unconscious patient involved. The neighbour repeated his story, adding the police to the list of now confused people. The blue lights had attracted the usual crowd, but the distinct lack of action made it disperse faster than usual. All they saw was one of the police officers pick up the bike and put it in the back of their van. My student and I were left with nothing to do but put our bags back in the car. Only two people kept walking towards us, hand in hand. A giant hand comforting a tiny one as sobs racked her body and tears stained her face. His voice carried the few dozen steps on the wind. "We'll go tell the police over there, shall we? I'm sure they'll be able to help - but only if you're really brave and tell them exactly what happened. Can you do that?" One of the officers knelt down, meeting the child eye to eye. "What's happened to you then? We can't have your tears making such a mess on the pavement!" She tried hard not to smile, tried to hide behind the man, seeming to want to climb inside him. "Has he been tickling you too much and you want us to tell him off?" A grin, a shake of the head, and finally a laugh. "Well then, you better tell us what happened." She took a deep breath, as if her narrative was the beginning of an epic saga. "I was in the park with my friends. My bike was by the fence and we all went on the swings. Then, a man came and took my bike and rided off with it, and now I don't know where it is!" "He just rided off with it, did he? Well, let's see what we can do about that." The tears returned, but just sat threateningly close to the corners of her eyes, filling them like untapped wells. "I used to be a magician," said the officer. "I bet I can guess what your bike looks like." She gave him a quizzical look, but said nothing more. "Yes," she said, her voice quiet and questioning. "And I bet it has little colourful ribbons on the handle-bars." "Yes," this time more hopeful than unsure. "And," he said, extending the single syllable until it seemed to stretch for miles, "I bet it's got a lovely basket on the front with pretty princess stickers all over!" She looked at her dad who just shrugged his shoulders. "Well, I don't know who the man was who took your bike, but I know where your bike is. Would you like to see it?" Without a moment's thought, she held out her free hand for the officer to hold. The three of them walked to the van together, the two men swinging the young girl through the air to the sound of shrieks of joy. I heard the officer warn them that the wheel was damaged, but neither seemed to be perturbed. "Nah," said the dad. "I own a bike shop." We left them to their reunion, returned to the FRU and opened the folder with the paperwork. "What do I write for this one then?" asked my student. "Easy. No patient, gone before arrival." "More like Gone before they got spotted riding a girly pink bike!" "Go on then. I dare you!" "All right then, I will!" At the end of the shift, I looked through all the paperwork before posting it in the internal mail box. 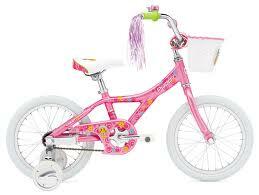 As I arrived at the piece of paper with the story of the pink bike, three words appeared on the page. "Oy! You!" I called after my student, watching him try to beat a hasty retreat. "You're such a..."
And without letting me complete the sentence, he walked out of the station flapping his arms. The first call of the shift was a transfer into town, to one of the big central London hospitals. Working out in the suburbs may not have held the same glamour as working in London's West End or City district, but it brought its own challenges too. If the truth be told, I preferred it that way. The relatively infrequent jaunts into town, either through transfers such as this one, or just through the luck of the dice and the "You are the nearest" software, meant that I could still be a tourist in my own city. Travelling across Tower Bridge, driving along the Embankment, around Parliament Square and past the Palace of Westminster always held a sense of occasion if you didn't do it all too often. It was also usually accompanied by a feeling of being a long, long way from home and the realisation that for the next few hours, the names of the streets we would be called to would be totally unfamiliar. "You ready?" I asked Mike, my partner and chauffeur for the day. It was early evening in very early spring, when the mornings were frosty and the temperature gauge had a range of about two degrees over an entire twenty-four hour period and always struggled to head into positive figures. The streets were a mass of people, all huddled into their coats, hats and scarves, busily heading home, or to the theatre, or to continue their day-to-day lives. We were both in fleeces and I was wearing the green winter hat that made me look like a cross between a bin man and a garden gnome who had lost his fishing rod. No more than three seconds passed between me pressing the green button and the next call appearing on the screen. Exhibition Road, SW7. Main entrance, Science Museum. I was like a kid in a sweet shop. The Science Museum is without doubt one of my favourite places in all of London. I used to skip school sometimes to visit it, hopping on the Underground and heading across town, only once being challenged at the entrance as to my reasons for being there rather than at my educational establishment. "I'm doing research for a project," was my instant answer. "What project might that be?" asked the security guard, each word dripping with sarcasm and disbelief. With that, he gave up and let me in. "The Science Museum!" I said to Mike. Brilliant. I hope it's either a no-show or just another tourist wanting a check up. Then we can have a wander round!" Mike looked less than impressed. "I don't DO museums. Boring places." A security guard met us at the entrance. I wanted to believe he was the same one who stopped me all those years ago, but somehow I doubted it and I certainly couldn't remember for sure. "How good's your French?" he asked. "Worse than my Cantonese. And Mike here can barely do English." It earned me a punch on the arm and a filthy look. It was worth it. "Oh well, you'll have to get by somehow. She tripped down a couple of steps and can't move. Think she's done her ankle." The two girls sat together, one of them, Deb, in obvious discomfort. They were heading out of the museum as closing time approached when the accident happened. Both were wrapped up in layers to defeat the English cold. Deb's English was even worse than my French. I had to drag up memories of an unhappy term in the first year of high school just to remember how to ask for her name and age. When she told me, I still didn't understand. I could never count past ten. She held both my hands, made me show all ten fingers, then added nine of her own. Her friend, Lara, was a little more communicative, but every English word was followed by a stream of a dozen more in French. One look at her ankle told us all we needed to know at that point. Mike went back to the ambulance to bring some pain relief and a splint, whilst I continued to play charades in a failed attempt to explain what we needed to do. When the entonox arrived, just my demonstration of how to use it seemed to work better than the pain-killing, giggle-inducing gas itself, making both girls laugh at my acting skills. Eventually, we removed her shoe, placed the splint and wheeled Deb into the ambulance on the trolley bed that Mike had brought back with him. The one-legged dance we did to get her from the floor to the bed was yet more cause for smiles, Mike humming some tune to help us along and despite the lack of verbal communication. The heater in the ambulance worked for a change and we convinced Deb that she needed to take her two coats off so that we could get to her arm and check her blood pressure. Each coat was handed to Lara who was constantly talking to Deb at speed that seemed to exceed that of sound itself. Perhaps it was just the fact that I didn't understand a word of it. Under the second coat was a fleece and as she unzipped it, a necklace appeared. A plain gold necklace with her name on it. "You speak Hebrew?" I'm not sure who was more surprised. Mike, whose eyes were suddenly wide with a mix of shock and resignation, or Deb at the fact that I could read her necklace. "And all this time I've been breaking my teeth trying to remember a single word of French?" The conversation flowed from that point on. Lara and Deb and me talking about anything and everything, some of it even patient related. Mike was instantly lost, despite my attempts at translating the more relevant bits for him. "I'll go and drive, shall I?" his question amused and mocking in equal measure. "Sounds like a plan. If you can ask Doris to navigate in Hebrew, that would be even better!" I translated for the benefit of our passengers, who both laughed. Arriving at the hospital, Deb's luck was in, as there was a French-speaking nurse on duty. We moved her on to the hospital bed, said our goodbyes and taught Mike to do so in Hebrew. "L'hitraot," he said, the word tripping unnaturally off his tongue. I met him outside after a few minutes of finishing the paperwork and him tidying the ambulance. "Can't speak English," he muttered at me, handing me a steaming mug. 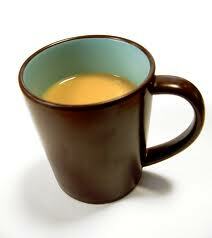 "Here, have a cup of English tea." Then he said something in French. I think.